There are few creatures that are as immediately intimidating as the American alligator. Encased in tough prehistoric armor, these big reptiles can more than defend their place on the food chain. Even the animal kingdom thinks twice before getting too close. These creatures are some kind of tough. The same holds true for their kin. 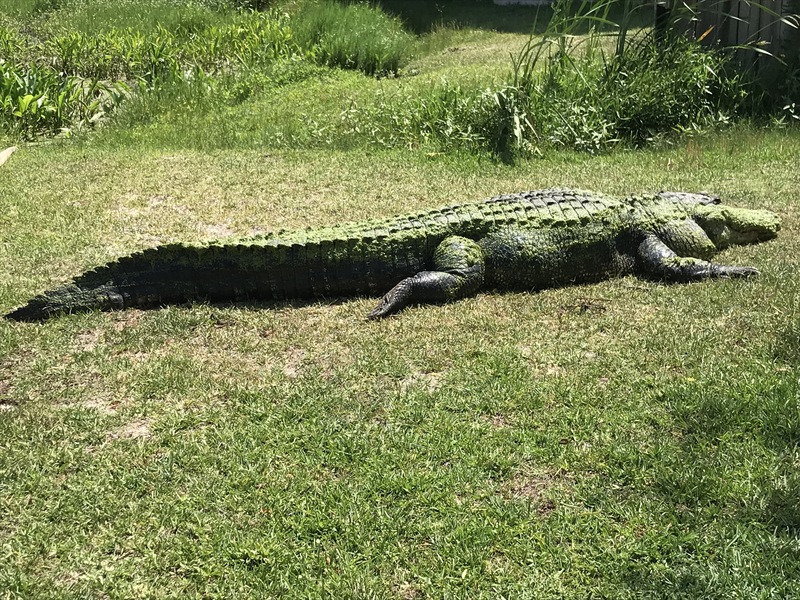 I have seen crocodiles stacked like cordwood on the banks of the Nile River near Murchison Falls and caiman gliding along the waters of the Amazon River. And no matter where I have encountered these cold blooded creatures, my response has been the same — maintain a healthy distance! 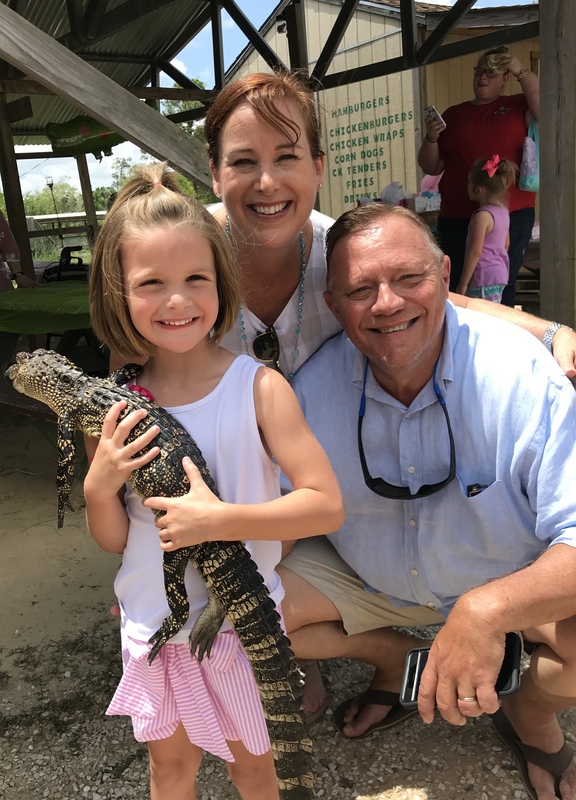 I recently visited Gator Country Adventure Park at the invitation of my five-year old friend Elizabeth Granger. 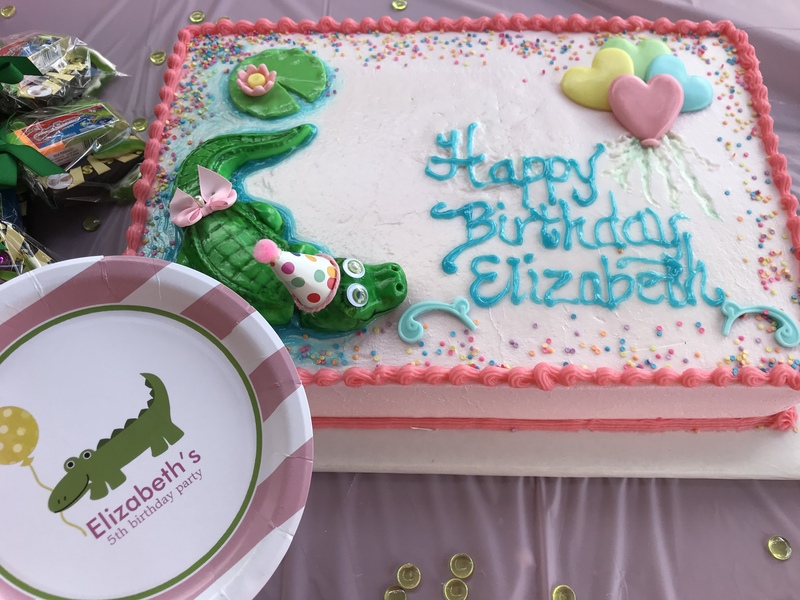 Elizabeth loves animals, is a big fan of the television show Lone Star Law, and is fascinated by alligators. 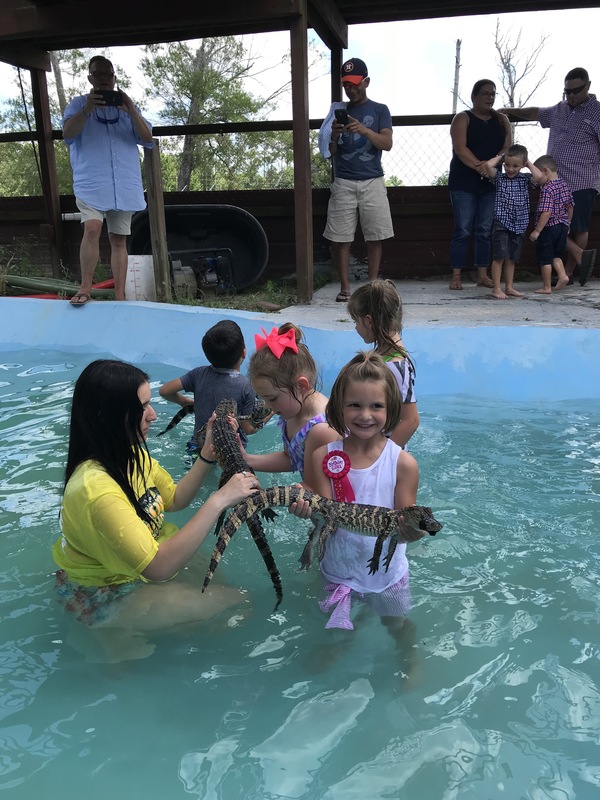 So, she wanted to have her fifth birthday party at Gator Country in Beaumont. 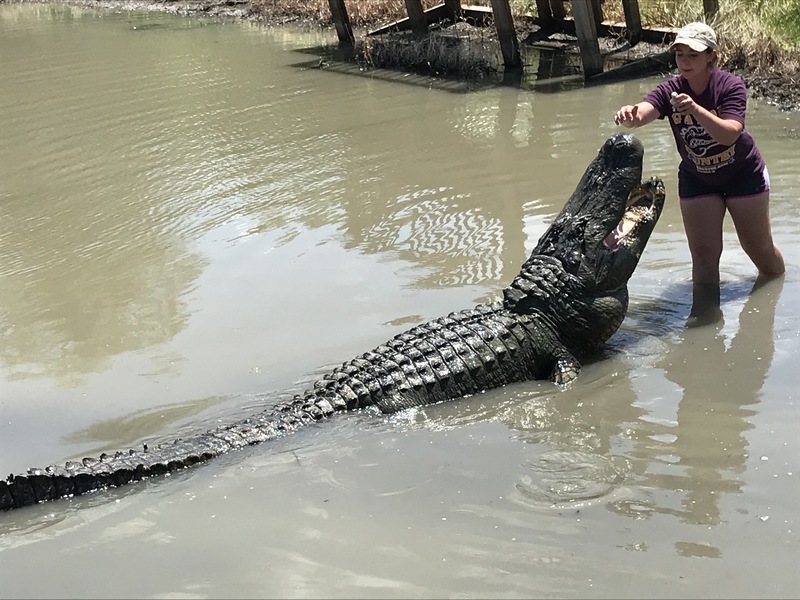 Gator Country has been featured on television shows like Animal Planet. And with good reason. 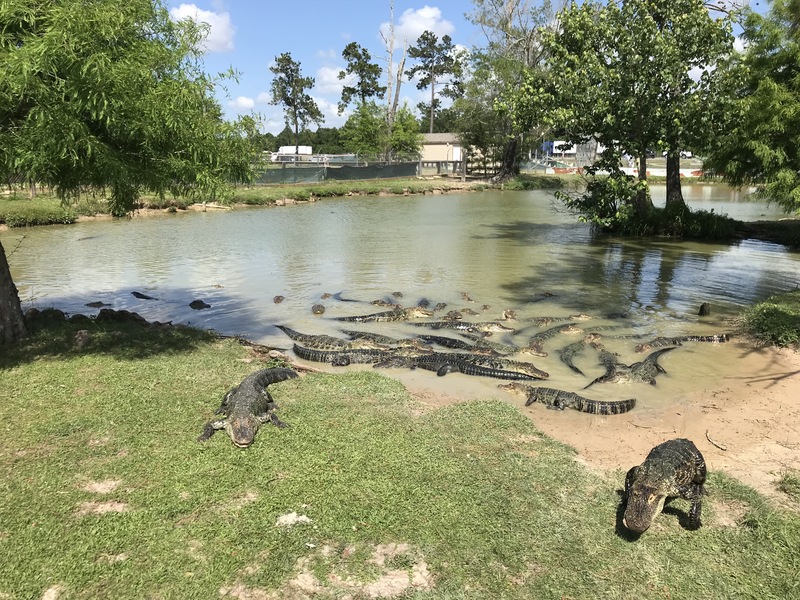 This 15-acre sanctuary is home to more than 450 American alligators, crocodiles, caiman, snakes, and an assortment of different reptiles. That is a lot of alligators in one location. 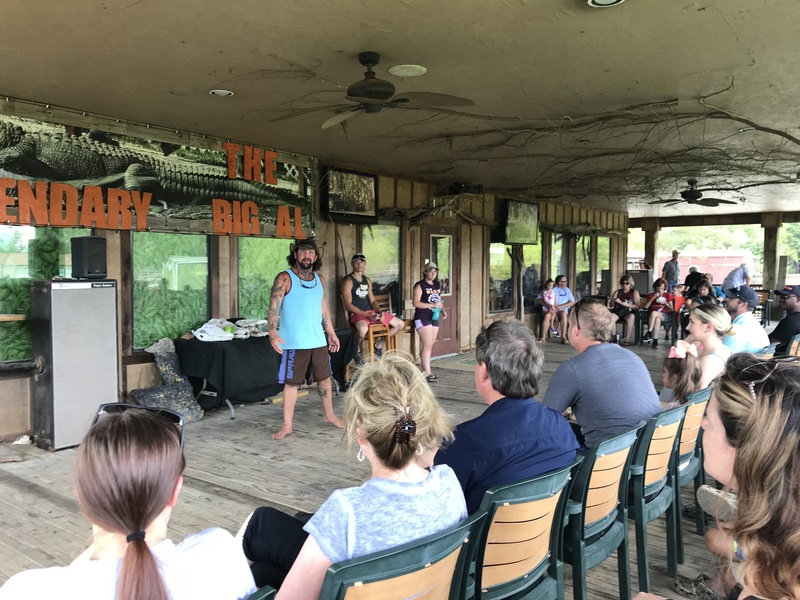 It all started back in 2005 when founder Gary Saurage invited the public to come out and see his collection of live-captured alligators and other reptiles. 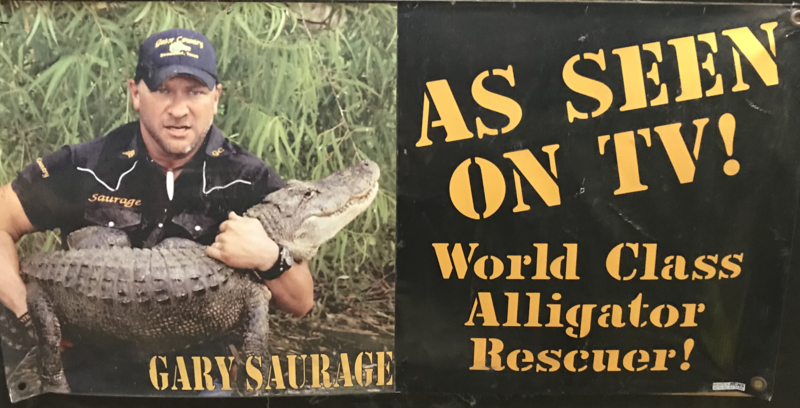 Gary and his team added to their collection by rescuing nuisance alligators from people’s yards, ponds and swimming pools as well as animals that were displaced and stranded after hurricanes and floods. For years, Big Al held the record for being the largest alligator in captivity in Texas. You have to see Big Al to really understand just how big he really is. This behemoth weighs 1,000 pounds, measures 13 feet and 4 inches long, and is believed to be 84 years old. Big Al held the record until Big Tex was captured. Big Tex measures in at 4½ inches longer than Big Al, just enough to take the title from the old octogenarian. Both gators have their own pond. Big Al is less aggressive than Big Tex but just as intimidating. 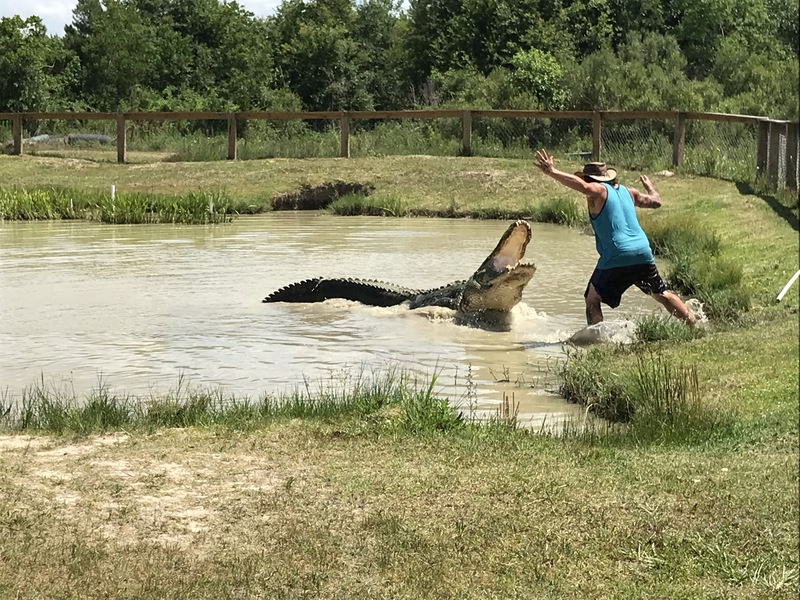 The folks at Gator Country are committed to research, education, and overseeing the welfare for the animals in their care. They work with universities and schools to foster a better understanding of these magnificent reptiles and even have internship programs for students eager to get some hands-on experience with the various reptiles under their care. 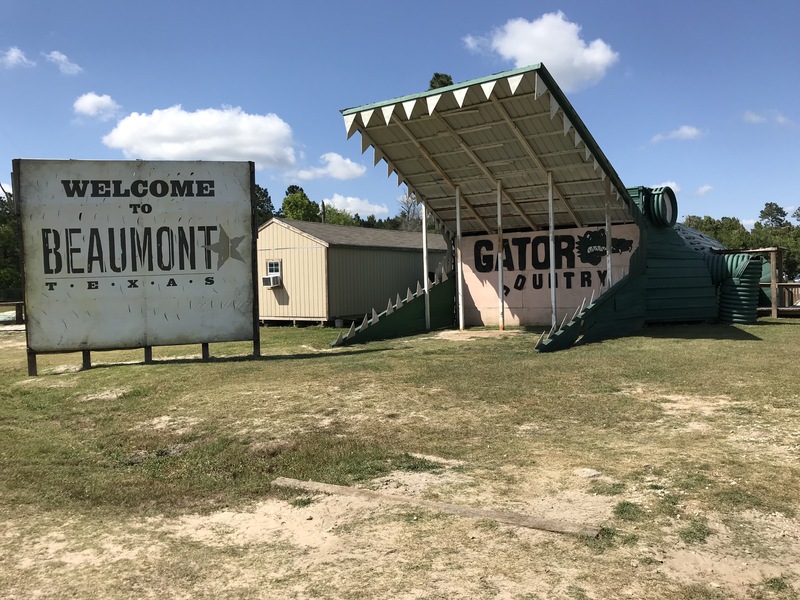 If you are anywhere near Beaumont, it’s worth your time to stop by Gator Country. You might even see my five year-old friend Elizabeth there feeding the gators. It’s one of her favorite places. 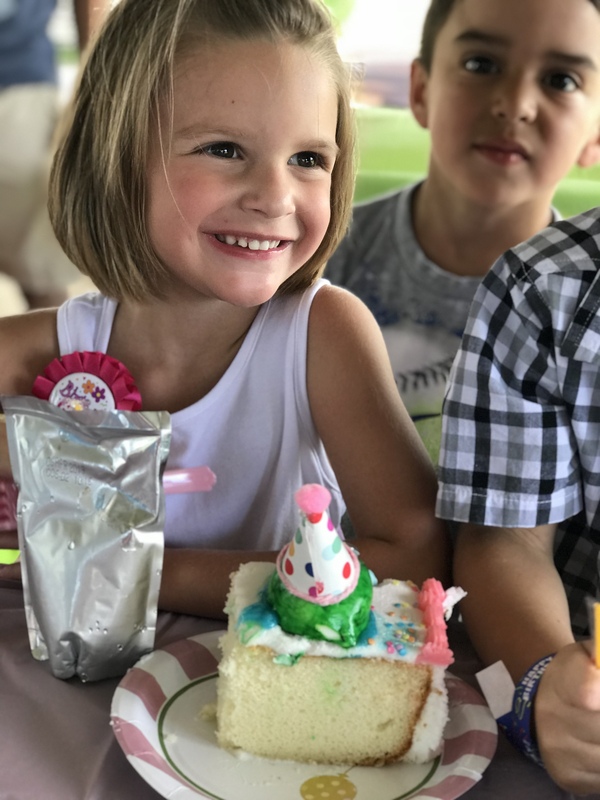 Elizabeth now holds the record for the coolest birthday party I have ever attended for a five year old. Happy Birthday, Elizabeth.